Here is the conclusion to our three-part blog 8 Different Types of Trusts: An Overview. When you are ready to talk about estate planning, our Denver trusts lawyers can help you determine which types of trusts may be the best choices for you and your family. Avoid doing anything that would impact their loved ones’ eligibility for/access to government benefits (like, for instance, federal disability benefits). By setting up special needs trusts, people can ensure that their loved ones have the financial support they may need to pay for things like in-home care, special equipment, living expenses, recreational activities, etc. (none of which may be covered by the very limited government benefits a person may receive). One of the key elements of special needs trusts (which can be set up by trustmakers prior to passing or can be set up by people with special needs after they’ve received some inheritance) is that the individual with special needs is NOT named as the trustee of the trust (i.e., that the person with special needs does not control the assets and business of the trust). With these types of trusts, a trustmaker can effectively prevent a beneficiary (or multiple beneficiaries) from being able to sell off or somehow “lose” the assets of the trust. While spendthrift trusts may be smart to set up when a trustmaker expects that a beneficiary may have creditors coming after him in the future, these types of trusts may also be an effective way to protect certain assets when a beneficiary is known to have an addiction problem (like a spending, gambling and/or drug addiction). 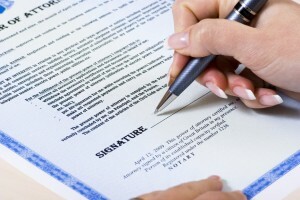 When one spouse would like to leave money to a surviving spouse (or any surviving family members), these types of trusts can be an effective way to limit the federal estate taxes that would apply to that money. Depending on the value of an estate and the amount of money that a trustmaker would like to leave to his surviving beneficiaries, setting up tax bypass trusts can save beneficiaries thousands – or even hundreds of thousands – of dollars upon the trustmaker’s passing. When you are ready to set up a trust and proceed with estate planning for your future, you can turn to the trust lawyers at JR Phillips & Associates, PC. We are skilled at using a variety of traditional and innovative approaches to develop solutions that are perfectly tailored to our clients’ needs and objectives.